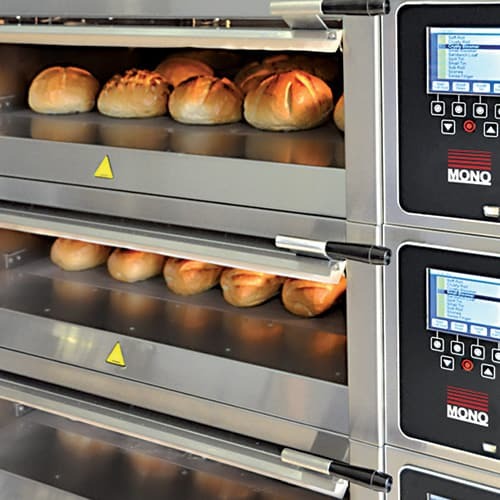 Mono’s Harmony Modular Deck Oven has been designed by bakers for bakers. 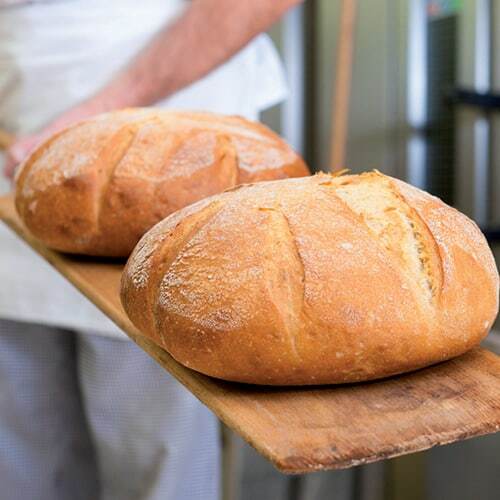 The oven is perfect for the production of delicious artisan breads and mouth-watering, high-end confectionery products. 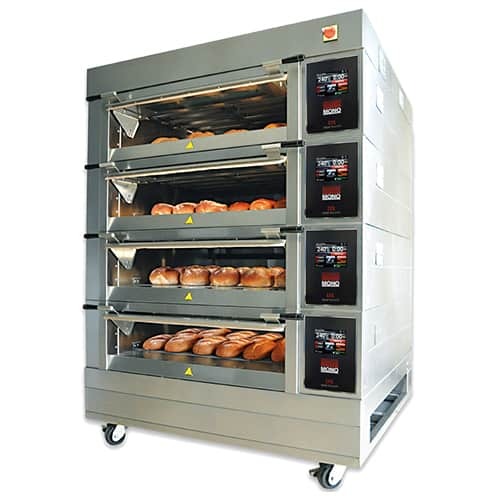 Each component of the Harmony Modular Deck Oven is built separately which means it can be delivered through a standard doorway and installed onsite; the perfect solution for bakeries with limited access. It also offers the benefit of being able to expand the number of decks at a later date if required. 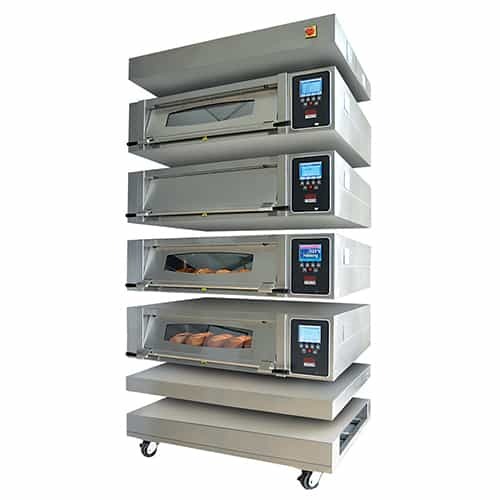 The Harmony Modular Deck Oven combines the very best of traditional baking techniques with efficient modern engineering and unparalleled bake control. This easy-to-use oven is available with the new eco-touch Controller or with a classic controller. Can be stacked up to 5 decks high. Available in 1-tray, 2-tray and 3-tray width models. Independent controls for top and bottom elements to create the perfect balance of heat. Single piece, heavy sole plates for evenly distributed bottom heat perfect for traditional oven-bottom bread. Patented cumulus steam generating system. Each deck separately controlled for complete flexibility. 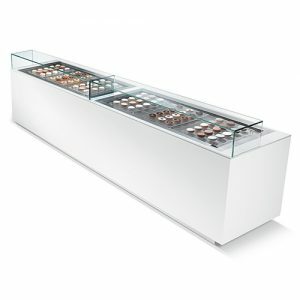 Hygienic stainless steel construction, inside and out, for ease of cleaning and long term durability. Hestia Safeguard Protection System ensures oven controllers never overheat. 240 Programmes to store your most frequently used bake cycles. Provides a gentle, mellow bake each and every time. Helps reduce energy consumption by only heating the decks required. Modular components – easy installation.